Our mobile web designs Perth focus on the beauty and functionality of a business mobile website. We don’t settle for less! Our team will make sure to give our clients an amazing interactive experience which in turn gives their customers a satisfactory service. We also create responsive and functional web designs that will surely match your aesthetic taste. As a leading web development company in Perth, we make diverse projects that go beyond ordinary mobile web designs. We are also experts in animation, video editing, graphic design, digital marketing, SEO marketing, mobile web apps, and many more. Rest assured that whatever you need in mobile web development, we’ve got you covered! Being in the business for years, we’ve produced mobile web designs for advertising agencies, boutique agencies, and a number of small to large enterprises in Perth and in Sydney. Apart from the exemplary designs that we create, another reason to choose us is our affordable services that come with comprehensive after sales support. We make sure that the mobile design that we will create for you will give your customers ease and comfort while navigating through it. One of the most important things to consider in making web designs is the ability of the mobile website to adapt to the mobile screen size that your customer is using. Let your mobile website do the job for you- it will continuously attend to your customers even when you’re busy doing other tasks, even when you are eating or sleeping! Search engines love fresh and new content. Hence, our mobile web design services comes with free optimisation and other necessary updates. This will guarantee the visibility of your business in all search engines. An ideal website grabs a visitor’s attention in an instant and communicate its campaigns immediately and effectively. In other words, there’s a possibility of that customer to stay around or even come back for more, with more friends along. As a business owner, it’s a possibility that you can take advantage of! That is why we ensure that everything is detailed and attractive. 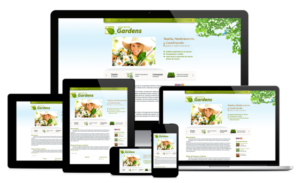 Don’t let your mobile website become outdated. We are here to give it life and bring it to a new level of success. Get in touch with our mobile website designer Perth and stand out from the crowd. We are certain that you will get the most out of your mobile web designs. Moreover, we will get it functional and gorgeous for you and for your audience! This entry was posted in Aleph IT Services and tagged mobile designer, mobile web, mobile website designer, web design.